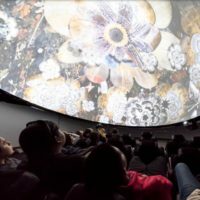 IAIA is dedicated to the study and advancement of Native arts and cultures – and committed to student achievement and the preservation and progress of their communities. Learn more about IAIA and our mission at www.iaia.edu. 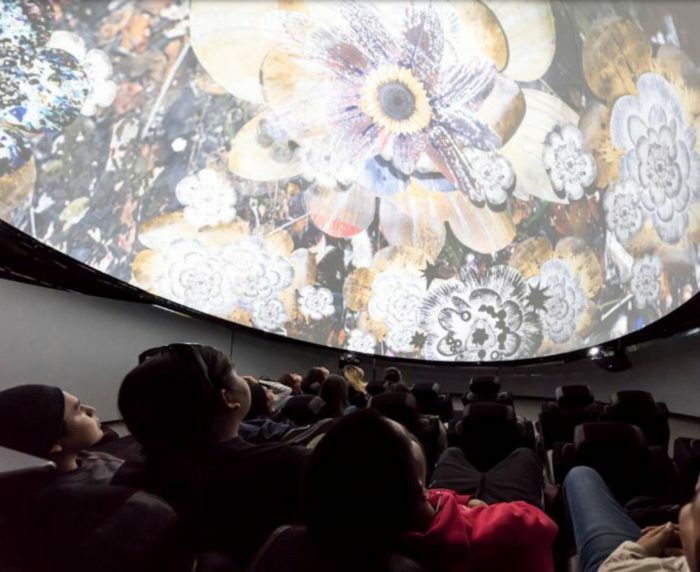 The IAIA Digital Dome (the DOME) is a unique asset of IAIA, being the world’s only fully articulating dome. 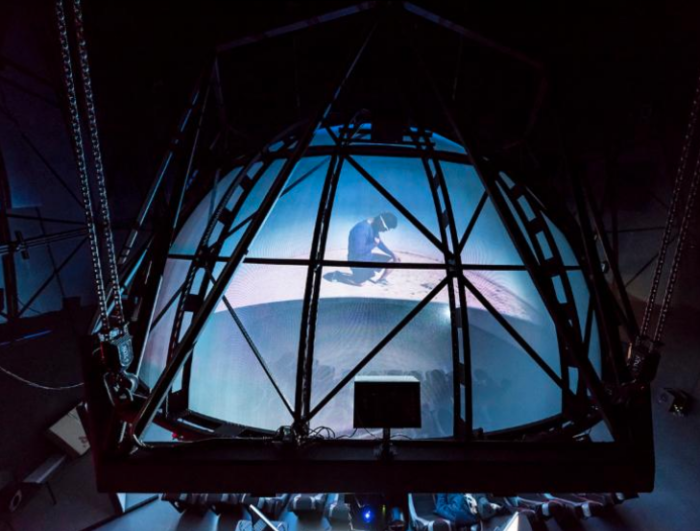 The space offers a combination of black box, 4k planetarium, performance space, digital fulldome, and an 24.4 surround sound immersive laboratory. 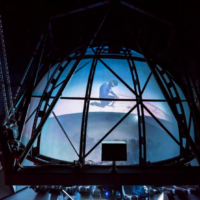 The DOME has become an inspiring space for many artists to stretch from immersive spherical film production to interactive immersive storytelling.